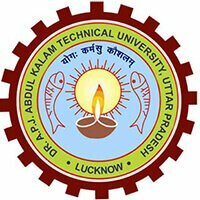 15th April 2019: Dr. APJ Abdul Kalam Technical University has released the admit cards for the Uttar Pradesh State Entrance Examination (UPSEE) 2019. Candidates who have registered for the exam can download their admit cards from the official website - upsee.nic.in. The exam is conducted for admission to Bachelor’s and Master’s programs such as B.Tech/B.Des./B.Arch./BHMCT/B.Pharm/BFA/BFAD/MCA/MBA/MCA (Integrated)/MBA (Integrated). Candidates can also take lateral entry to 2nd year of B.Pharm/B.Tech/MCA courses through the exam. Admit cards are available for all Bachelor’s, Master’s, and Lateral Entry Courses. Go to the UPSEE official website. Click on the link for admit card on the home-page. Enter the log-in details viz. application number, password, security pin and submit to sign-in. Admit card will be displayed on the screen, check all the details carefully. Carry the admit card to the examination hall. As per the official schedule, the UPSEE result 2019 is scheduled to be declared in the first week of June 2019. Separate merit lists will be prepared for each program. Merit rank and score card will be available at the official website after result declaration. Candidates should keep an eye on the official website.